HÀ NỘI — Phan Văn Giàu has been appointed coach of V.League 1 side Long An, replacing coach Ngô Quang Sang. Sang was removed from the position by Long An and was also suspended from Việt Nam Football Federation’s football activities for three years following Long An’s unsporting behaviour in the match against HCM City on February 19. 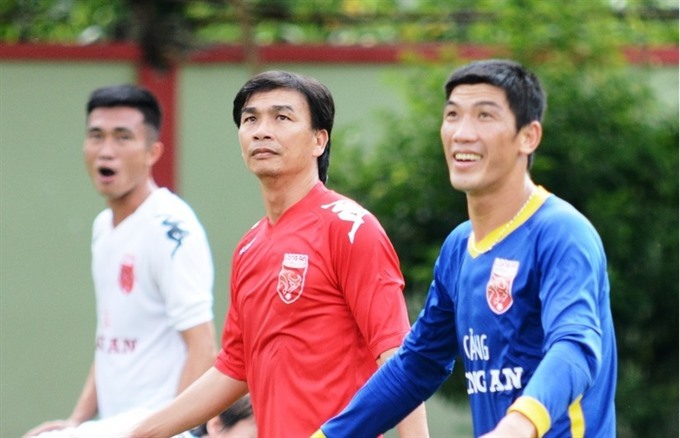 Forty two-year-old Giàu is a well-known former midfielder of Đồng Tâm Long An, which won the league in 2005 and 2006. He is the elder brother of Phan Văn Tài Em, who won the Vietnamese golden ball award in 2005. Giàu’s first task is to stabilise his players mentally following the team’s breakdown, the worst in Việt Nam’s football history, and then restore the club’s image.